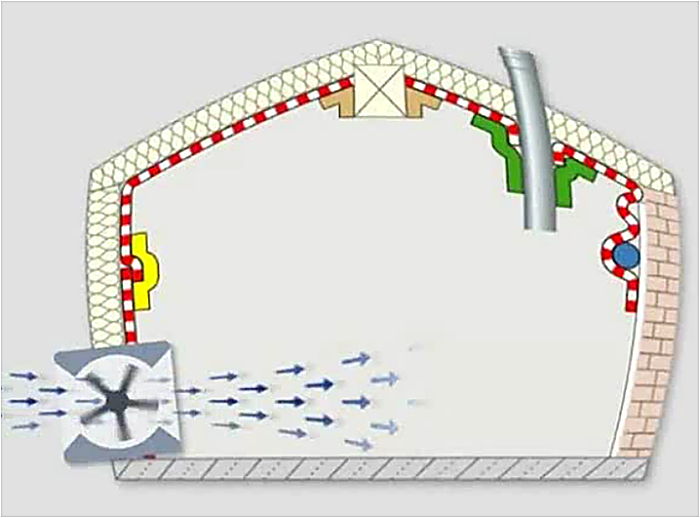 Airtightness is simply the control of airflow within a building. 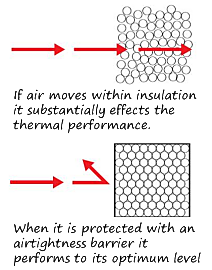 This means there is no unexpected air leakage (losing warm air) or no cold air infiltration. Reduced energy costs (Space Heating). Improved thermal comfort. (A steady temperature is maintained throughout the building). 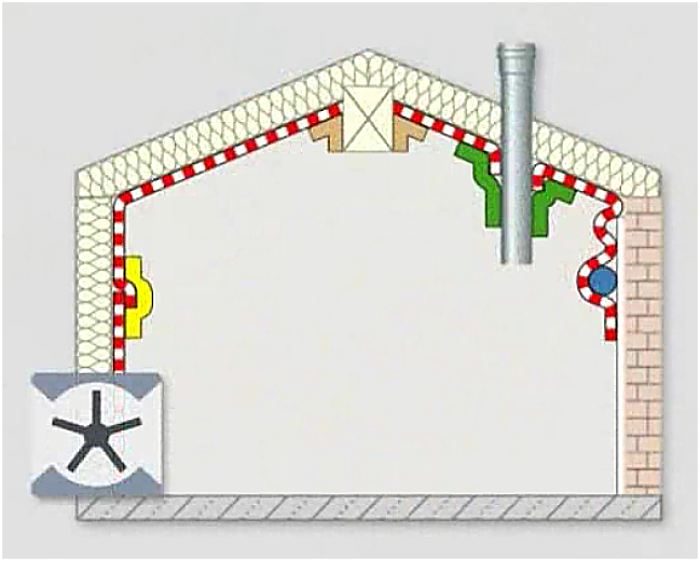 To gain Passivhaus certification a building must reach the standard of 0.6 ach-1 @50Pa; this simply means that there must be less than 0.6 cubic metres of air change per hour for every square metre of floor area when the difference in air pressure between the inside and outside is fifty Pascals. 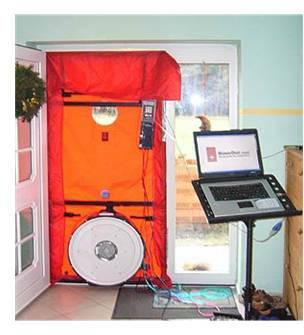 When building a passive house it is important to get an accurate measurement of the airtightness; to obtain this a "Blower Door Test" is used. 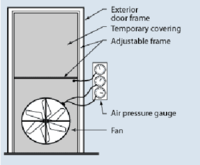 The blower door fan is set up in the doorway of the main entrance of the dwelling. 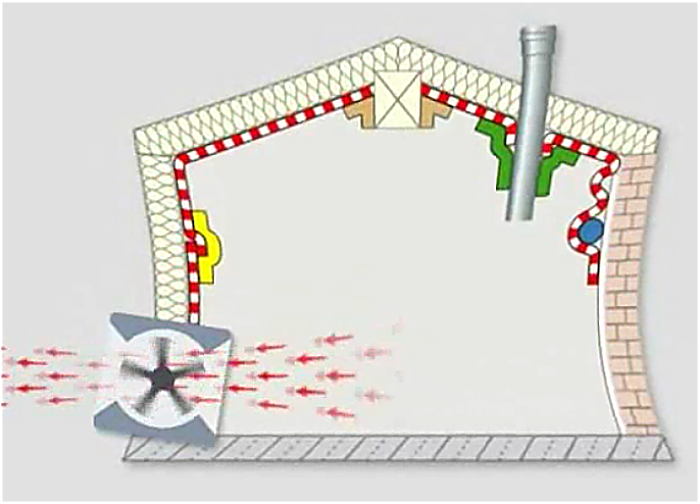 Windows and doors are closed while vents and fans are sealed. 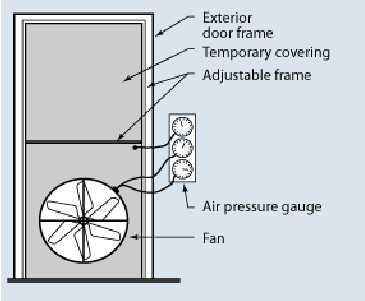 The fan is then turned on and tested for overpressurisation; the house is subjected to 50 Pascals of pressure for one hour whilst the air flow rate is measured. The goal of the first stage is for the dwelling to maintain the excess pressure of 50 Pascals. 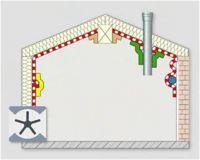 The average of the two tests are then calculated to determine the airtightness of the building.